Anywhere from 10-30% of each potato processed for foods like fries, hash browns and crisps ends up as peel or pulp waste, then becoming low value cattle feed. Potatoes SA has partnered with researchers from the University of Adelaide and Adelaide Hills Distillery to understand the best way to use this waste and transform it into a premium quality beverage. “We know how significant food loss is in horticulture, particularly in the potato industry, and are working hard to ensure all parts of the potatoes we grow are utilised,” Potatoes SA CEO Robbie Davis said. The project to date has focused on optimising the sugar conversion, extraction, fermentation and distillation of various industrial potato waste streams including peel, pulp and starch waste water. 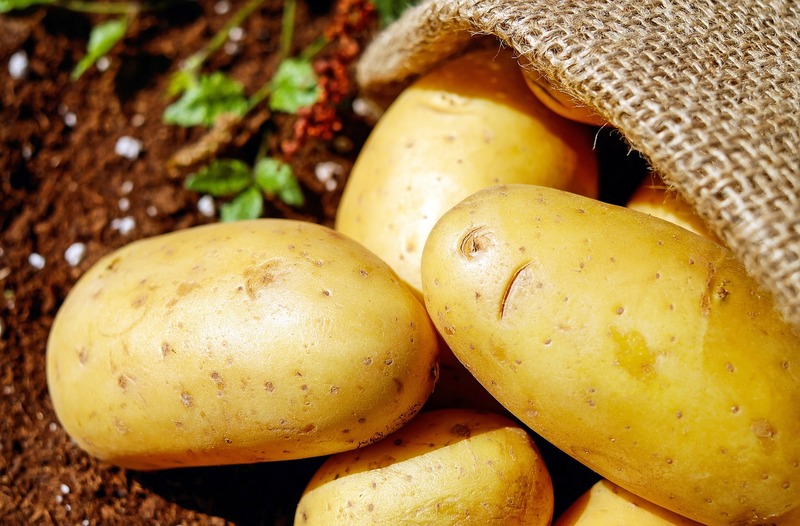 “We take the potato peel waste and investigate the best way to break down the starch into fermentable sugars,” said lead researcher Dr Richard Muhlack from the School of Agriculture, Food and Wine at the University of Adelaide. These spirits will then be assessed by sensory analysis here at the Waite campus. An expert panel will benchmark the aroma, flavour and taste properties of spirits against commercial products to see if they are of comparable quality. The project is due to be finalised by mid-2018. This project was awarded $30,000 in Round 3 of the Primary Industries and Regions South Australia Advanced Food Manufacturing Grant Program (2017). This entry was posted in Agriculture & Food, Environment, Impact stories, Science and tagged Dr Richard Muhlack, potato, vodka. Bookmark the permalink.